The Silver Bridge Collapse: Don’t Blame the Mothman! Rumor has it that, just before the December 15, 1967, collapse of the US Highway 35 Bridge in Point Pleasant, West Virginia, a 7-foot-tall monster with large, piercing red eyes and huge, mothlike wings was seen lurking nearby, warning of the impending catastrophe. This “Mothman” was soon blamed for the tragedy in which 46 people died and 9 were injured. Of the 37 vehicles on the bridge at the time of the collapse, 31 fell with it, many plunging into the Ohio River. Fifty years after the collapse of what was then known as the Silver Bridge, paranormal speculation still swirls around the event, perpetuated by movies (like the Mothman Prophecies), legends, and myths. As a civil engineer, though, I put my trust in the laws of physics, materials science, and the findings of the NTSB investigation completed five decades ago, which proved without a doubt that the Mothman wasn’t to blame. The Silver Bridge collapse was the first significant highway accident investigation in NTSB history. Working with experts from the Federal Highway Administration, the states of West Virginia and Ohio, and leading engineering consulting firms, we determined conclusively that the cause of the collapse was an eyebar fracture in one of the bridge’s suspension chains. The fracture resulted from stress corrosion and corrosion fatigue that had developed over the bridge’s 40-year lifespan. Not surprisingly, no evidence was ever found connecting the Mothman to the failure. This catastrophic event prompted national concern about the safety of bridges across the United States. President Lyndon B. Johnson ordered all US bridges to undergo safety inspections. Congressional hearings resulted in mandates requiring the US Department of Transportation to develop and implement National Bridge Inspection Standards. In December 1970, landmark legislation was enacted that established national requirements for bridge inspection and evaluation. One would think that these rigorous new inspection standards would take care of bridge failures forever. Unfortunately, during the past half century, that’s not been the case. On June 28, 1983, a 100-foot-long section of Interstate 95 (Mianus River Bridge) collapsed near Greenwich, Connecticut. Two tractor-semitrailers and two passenger vehicles went down with it, resulting in three fatalities and three serious injuries. We determined that corrosion-induced forces led to lateral displacement of the suspension assembly, which went undetected by the state’s bridge inspection and maintenance programs and ultimately led to the collapse. On April 5, 1987, tragedy struck again when two spans of the New York State Thruway (Interstate 90) fell about 80 feet into the rain-swollen Schoharie Creek. Four passenger cars and one tractor-semitrailer plunged into the creek, and 10 people were killed. We determined that the New York State Thruway Authority failed to maintain adequate support around the bridge piers, leading to severe erosion in the soil beneath the bridge footings. We also determined that the state’s bridge inspection program was inadequate. Not surprisingly, neither the Mothman nor the Loch Ness Monster was seen in advance of this collapse to forewarn of the impending catastrophe. Other notable bridge failures we investigated in the late 1980s involved localized flooding and water scouring. One collapse occurred on April 1, 1989, near Covington, Tennessee, when two columns supporting three bridge spans collapsed, sending an 85‑foot section of the US Route 51 bridge 20 feet into the Hatchie River. Five vehicles fell with it, killing eight occupants. Again, our investigation identified deficiencies in the state authority’s bridge oversight. In response to our investigations of these events, additional requirements were developed for periodic underwater inspection of bridges. Probably the most memorable bridge collapse we investigated occurred 10 years ago in Minneapolis, Minnesota, when a catastrophic failure occurred in the main span of the deck truss in the Interstate 35W highway bridge. As a result, 1,000 feet of the deck truss collapsed during rush hour, with about 456 feet of the main span falling into the river. A total of 111 vehicles were on the portion of the bridge that collapsed; 13 people died and 145 were injured. We determined that a design error in the gusset plates compromised the bridge’s load capacity, causing it to fail under substantial weight increases. Our investigation prompted the development of additional bridge quality assurance and improved bridge inspection requirements. On December 15, as we mark the 50th anniversary of the Silver Bridge collapse, let’s focus on the infrastructure improvements we need still need to make five decades later rather than try to place the blame on mythical creatures like the Mothman. Throughout the NTSB’s history, we have investigated catastrophic bridge collapses with one goal in mind: preventing future tragedies. Despite efforts to continually enhance the quality of bridge inspections, unforeseen disasters continue to occur, highlighting the need to thoroughly inspect and replace bridges before they collapse. Supernatural forces do not bring down bridges; neglect does. Don Karol is a Senior Highway Accident Investigator and National Resource Specialist in the NTSB Office of Highway Safety. One night, a couple feet underground outside an American home, the gas flowing in a service line began to escape through a puncture adjacent to a newly installed mailbox. A man and woman inside the home were watching the news. Their children were playing. Then, suddenly, without warning . . . nothing happened. A simple and inexpensive device called an excess flow valve (EFV) kicked in, stopping the gas flow. There was no explosion, no fire, no injury or loss of life. As a petroleum engineer and pipeline specialist for the NTSB, I know that the most important pipeline safety advance in recent decades has been the establishment of the national one-call 811 number. But EFVs may be the next most important life-saver, especially for homeowners. Gas companies install an EFV in a service pipeline where it meets the main line. The EFV shuts off the gas flow in the service line when it exceeds the normal flow rate; excess flow often indicates that gas is escaping the service line through a puncture or sever, potentially leading to an explosion or fire. I’ve been working a long time to encourage the progress that came to fruition late last year regarding EFVs. The Pipeline and Hazardous Materials Safety Administration (PHMSA) quietly completed an important achievement and, in the process, closed an NTSB recommendation. PHMSA issued a rule expanding the use of EFVs to new or renewed service lines leading to almost all small commercial businesses and multi-residence buildings. It’s taken decades to achieve this result. In all, the NTSB has made 24 safety recommendations related to EFVs. When I came to the NTSB in 1990, the agency had already been endorsing EFVs for 20 years, beginning with recommending a shutoff valve after research that came out of a 1970 safety study. I worked on accident after accident that may have been prevented by EFVs. Most of my work between 1990 and 1994 involved single-family residences, but many multi-residence accidents were just as horrible, if not worse. The incidents occurred in large cities like Tulsa, Oklahoma, and St. Paul, Minnesota, and in smaller towns like St. Cloud, Minnesota; Montezuma, Indiana; and Cliffwood Beach, New Jersey. I can still remember my first NTSB supervisor expressing exasperation that this simple and elegant solution was not in wider use. Then came June 9, 1994. At about 6:45 that evening, a 2-inch-diameter steel gas service line that had been exposed during excavation separated at a compression coupling about 5 feet from the north wall of John T. Gross Towers, an 8-story retirement home. The escaping gas flowed underground toward Gross Towers, passed through openings in the building foundation, entered the mechanical room through the floor vents, and migrated to other floors. A resident smelled the gas, as did a workman onsite, who told his foreman. The foreman called the gas company and the housing authority, then had other employees locate and shut off the gas line valve inside the towers. But at 6:58 p.m., the built-up natural gas in the building ignited and exploded; a second explosion followed 5 minutes later. The accident killed one person and injured 66—and it could have been much worse. Many residents were not in the building on the early summer evening of the disaster. A humble EFV could have shut off the gas flow into Gross Towers. After the explosion, the NTSB recommended that PHMSA’s predecessor agency require that all gas distribution operators inform all customers of the availability of EFVs. After many years, the agency did so. Meanwhile, fatal accidents continued—all potentially preventable with EFVs. Then, in 1998, the NTSB was called to the site of an explosion and fire at a single-family home in South Riding, Virginia. A man, woman, and their two children were spending their first night together in their new home. The family retired at about 10:30—the children to the upper level of the house, and, because not all of their furniture had arrived, the parents to the first-floor study. Shortly after midnight, the house exploded and was engulfed in flames. The children were thrown out of the house and onto the lawn, suffering minor injuries. The parents fell into the basement as the first floor collapsed. The father was able to crawl to safety, badly burned; the mother did not escape and died as a result of her injuries. Again, an EFV could have prevented the tragedy. Following this accident, the NTSB recommended that PHMSA require EFVs in all new and renewed gas service lines, regardless of customer classification, when operating conditions were compatible with readily available valves. PHMSA first required only that single-family homeowners be notified of the availability of the valve and be allowed to pay for it themselves. Then, in 2009, PHMSA changed the rule, requiring EFVs to be installed on almost all new and renewed service pipelines to single family homes. Finally, on October 14, 2016, PHMSA expanded the safety requirement to include most new and renewed service pipelines for multi-residential and commercial applications, closing one chapter in EFV history—and with it, an outstanding NTSB recommendation. My first NTSB supervisor is no longer with us, but even years ago, he could imagine the broad use of EFVs that he did not live to see. Sometimes it takes a long time to normalize safety. Too often, it takes a highly visible accident—or several of them—to draw attention to a problem. Solutions often come a little bit at a time, or a long time afterward, without any fanfare. But for now, and well into the future, for many businesses and homes nationwide, if a service line fails, nothing will happen. These homes and businesses are a little safer today because PHMSA and the gas industry acted on NTSB’s EFV recommendations. Charles Koval is a Petroleum Engineer and Pipeline Specialist in the NTSB Office of Railroad, Pipeline and Hazardous Materials. The service line does not need an EFV if it: 1. does not operate at or above 10 psig all year, 2. has previously had contaminates, 3. could interfere with necessary operation or maintenance activities, or 4. is not commercially available to the operator. In just under two weeks there have been four major accident launches. On Friday, May 17, the NTSB launched a go-team to Bridgeport, Conn., to investigate a derailment and collision involving two Metro North passenger trains. The following Friday evening, a bridge collapsed over the Skagit River in Mt. Vernon, Washington; the NTSB was on scene that evening and the rest of the go-team arrived the next morning. Then, early in the morning on May 25, two freight trains collided under a highway overpass in Chaffee, Mo., causing the trains to derail and the overpass to partially collapse. Another go-team launched and arrived in Missouri that afternoon. Next, on May 28 a train struck a truck at a railroad grade crossing near Baltimore, Maryland; and yes, another go-team launched. 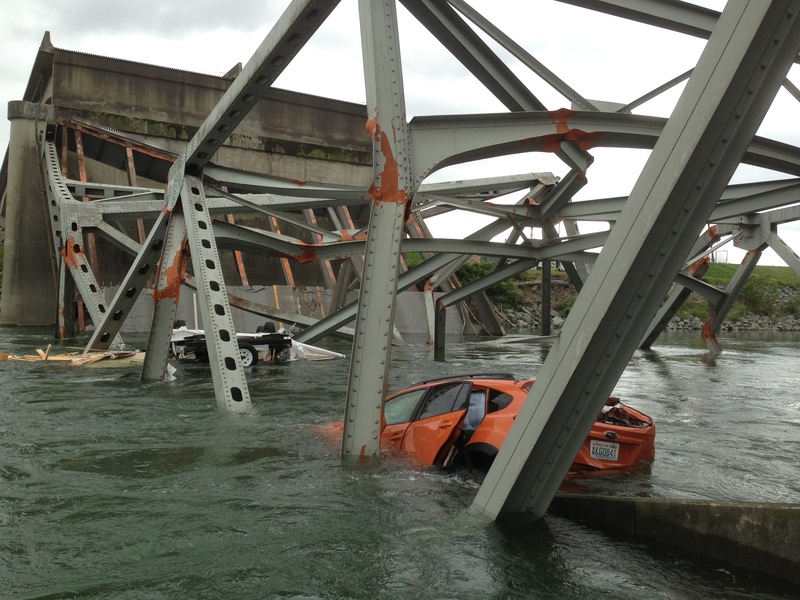 Skagit River bridge collapse in Mt. Vernon, Wash.
And, while go-teams were launching all over the country, other investigators were responding to additional accidents. On May 20, there was a fish processing vessel fire near Seattle and a marine safety investigator traveled to Washington to work with the U.S. Coast Guard. Similarly, two marine safety investigators traveled to Freeport, Bahamas, to join the Bahamian authorities and the Coast Guard in the investigation of the May 27 Grandeur of the Seas cruise-ship fire. On May 28, a Metro North passenger train struck and killed a track foreman in West Haven, Conn.; NTSB sent an investigator to West Haven this morning. During this same period, NTSB regional aviation safety investigators responded to fatal accidents in Auburn, Ca. (May 18); Garoga, N.Y. (May 24); Cross Timbers, Mo. (May 25); Macon, Ga. (May 27); and Flagstaff, Ariz. (May 28). 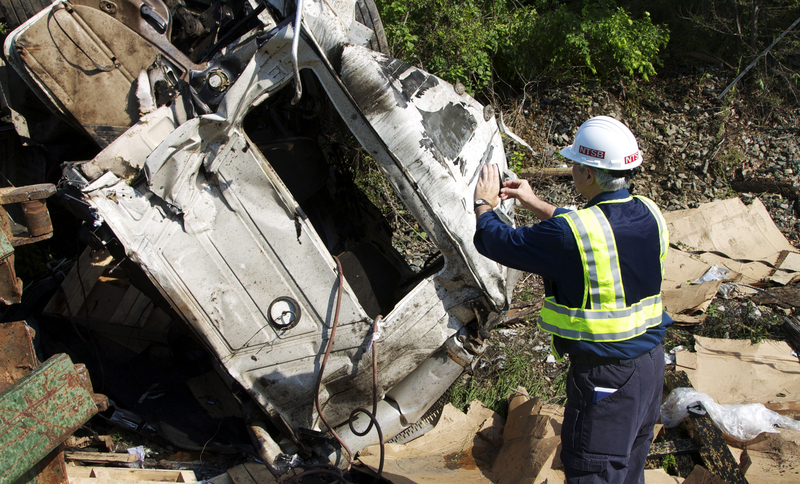 Investigator Ted Turpin documenting damage at the scene of the rail grade crossing collision in White Marsh, Md. The total: 12 accidents in 12 days. There’s a lot going on and our dedicated professionals are up to the challenge. In each of these investigations, the goal is simple: find out what happened and why so that we can develop safety recommendations to prevent future accidents and needless loss of life and injuries. Our transportation infrastructure—roads, railways, waterways, and airports— is what makes the movement of people and goods possible; it drives our economy. In a way, our infrastructure is like a house – America’s house. It needs to be maintained for ourselves and generations to come. In his State of the Union address, President Obama proposed a “fix-it-first” approach to investing in our nation’s deteriorating infrastructure. And the NTSB believes that as these investment decisions are made, safety needs to have a seat at the table. The “Fix it First” plan makes repairing and upgrading existing roads, bridges and public transportation systems a priority over spending on new projects. 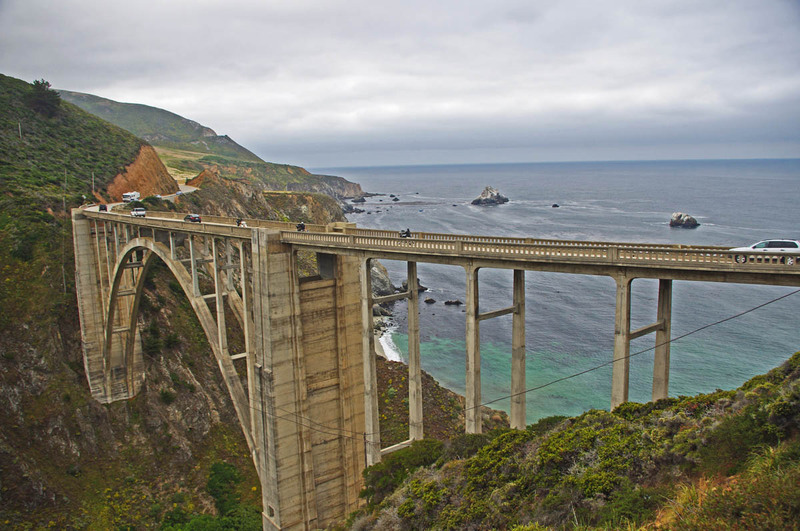 In 2006, 70,000 of the roughly 600,000 bridges nationwide were classified as “structurally deficient,” meaning that major deterioration, cracks or other flaws reduced its ability to support vehicles. Back in 2006, the I35W bridge in Minneapolis was identified as a structurally deficient bridge. Before improvements could be made, that bridge collapsed on August 1, 2007, killing 13 people and injuring another 145. In our subsequent investigation of this tragedy, the NTSB identified three critical factors that contributed to this collapse: (1) a failure in the design firm’s quality control procedures to ensure that all calculations were performed correctly, (2) inadequate design review by Federal and State transportation officials, and (3) inadequate attention to a critical bridge component during inspections. For information on NTSB’s accident investigations and recommendations to better invest in and allocate resources that will preserve the integrity of American’s transportation infrastructure, visit the NTSB Most Wanted List Preserve the Integrity of our Transportation Infrastructure webpage. In “Fix It First, Expand It Second, Reward It Third: A New Strategy for America’s Highways,” a report by The Hamilton Project at the Brookings Institution, authors Matthew Kahn and David Levinson argue that the roads and bridges that make up our nation’s highway infrastructure are in disrepair as a result of insufficient maintenance — a deficit that increases travel times, damages vehicles, and can lead to accidents that cause injuries or even fatalities. This report emphasizes that if we want to prevent future tragedies, such as the I35W bridge collapse, we need to make effective investments that put safety at the center.